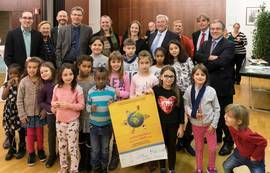 In Luxembourg around 2600 children in 165 schools were collecting "Gréng Meilen" this year with the support of Klima-Bündnis Lëtzebuerg. 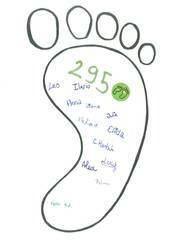 Together they collected 52.938 Gréng Meilen - a new national record! 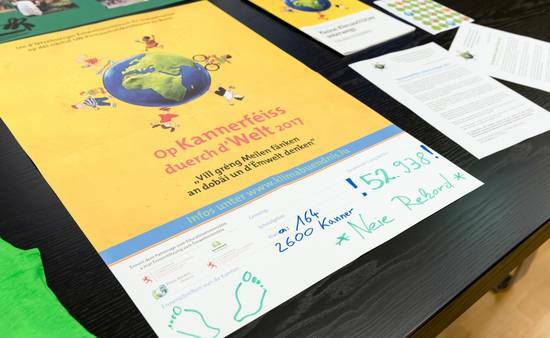 At the 8th of November children from the Maison relais in Walferdingen handed them over to their minister of the environment Carole Dieschbourg together with their signed posters. 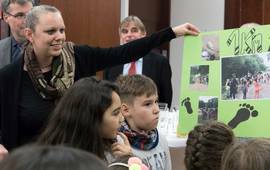 She does take them with her to the Climate Summit in Bonn and will also participate the final handover to the UNFCCC on the 16th. of November. 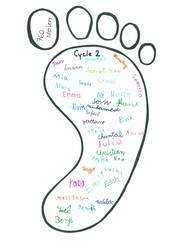 98 pupils in 8 classes at Ecole fondamentale Mertert together collected 2206 Green Footprints and sent us their Wishprints for the politicians. 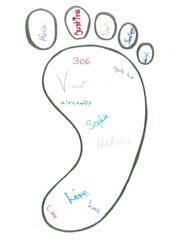 Here in the Maison Relais Walfer 90 children were involved. 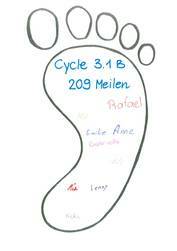 The four groups with children from 4-12 years old together collected 34620 Greng Meilen within four weeks - congratulations!